Not all hackers are united. That could not be more evident based on the latest hacking attempt, this time on Anonymous rather than by its own members. Of course, Anonymous did do something to incite the attack. 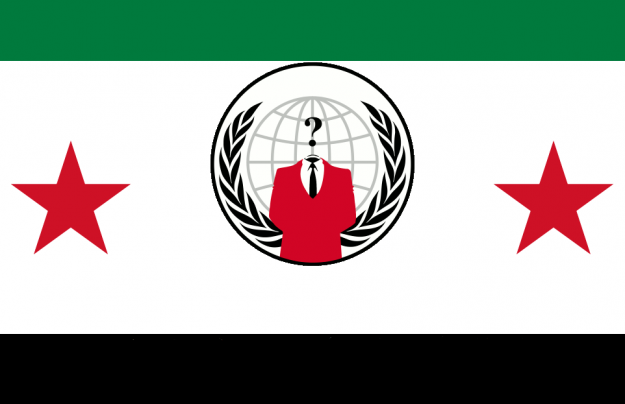 The worldwide network recently took credit for defacing Syriaâ€™s Ministry of Defense website, which prompted some loyal citizens/hackers to strike back. They did so by posting the following message with some disturbing photographs on Anonymousâ€™ social network, AnonPlus. In response to your hacking to the website of the Syrian Ministry of Defence, the Syrian people have decided to purify the Internet of our pathetic website. However, Anonymous has not come out and specifically named anyone who they believe or know to be responsible. ComputerWorld reports that a group dubbed as the Syrian Electronic Army, as cited in a Tweet from the Citizen Lab at the University of Toronto, is responsible for defacing AnonPlus. They could be the likely culprits as the group has been reportedly known to attack other sites critical of Syria in the past. However, this is the first time (at least on this scale) that weâ€™ve seen other hackers turn on Anonymous with nationalism as the motive â€” if that is even what happened.